For many people, being a landlord is a rewarding and profitable experience, but managing a rental property is not a simple endeavor. A basic understanding of some key landlord responsibilities, property marketing tactics and areas of the law will go a long way in helping you find (and keep) a tenant, effectively manage your rental and avoid the most common landlord mistakes. In this guide, we’ve outlined information about how to become a landlord to help you succeed and get the most out of your real estate investment. Perhaps you are an “accidental landlord” who inherited a property or chose to rent your home after a move. Or maybe you’re looking to actively invest in one or more properties. Either way, a rental property is best viewed as a long-term investment, whether your goal is supplementing your income today or creating wealth over time. When you start looking for a rental property (or you’re trying to determine the value of a property you’ve acquired), consider the neighborhood and its transportation access, grocery stores, local attractions and businesses. The property’s price may be attractive, but you’ll want to be sure the location is too. If you wouldn’t want to live there, then potential tenants will likely feel the same way. Additionally, if you’re purchasing a property with tenants in place, don’t assume a guaranteed stream of income; find out if the tenants have been making reliable rent payments. Before purchasing a property, see if it has the potential to produce positive cash flow given current market conditions. Is there more money coming into the property (through rent and any auxiliary income streams like parking) than going out of the property (through mortgage payments, taxes and maintenance costs)? For example, if you collect $1,600 in monthly rent and pay out $1,100 in monthly expenses, you’ll have $500 to put in the bank each month. You don’t need to be a management pro, real estate expert or professional contractor to be a good landlord. You do, however, need to dedicate time to learning the business and keeping up with tenant requests and rental property maintenance issues. Whether you manage one property or a portfolio of several units, establish a work schedule and try to stick to it. While you can’t predict problems — and need to be comfortable with the possibility of handling tenant issues day or night — setting aside time for the business of landlording, such as tracking your expenses and staying on top of general maintenance, will help you get into a productive routine. If you don’t have a schedule, managing even one small property can feel like a full-time job. Speaking about the business of landlording, be sure to treat it as such. Consider setting up a limited liability company (LLC) for ownership of the property. This can help protect you personally from legal actions. A number of skills from other professions and experiences are easily transferable to landlording, including customer service and sales (you need to have a strong professional relationship with your tenants), marketing, accounting, maintenance, time management and delegating — because sometimes the best business decision is knowing when to call a professional. 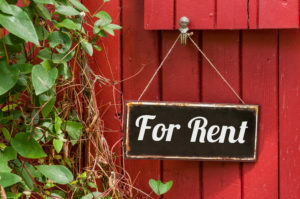 While most rental relationships are relatively problem-free, some tenants can be difficult. They might find the smallest things to complain about — all the time. If you have a problem with renter calls during the dinner hour, perhaps the role of landlord isn’t for you. A clear set of renter instructions and rules can help here — it’s your responsibility to set expectations. For example, it’s OK to tell your tenants not to call about a missed garbage pickup if you informed them of the day and time prior to move in. Other tenant problems can include noise, illegal activity, unauthorized roommates or even hoarding. For these issues, patience is helpful because you need to follow the appropriate steps to fix the issue — up to and including evicting the problem tenant. You’ve made what you believe is a sound investment in your rental property, and you hope to make some money from it. But you still need to manage your money and prepare for expenses and cash flow ebbs and flows to be successful. After you have your rental property, it’s time to understand the local real estate and rental market and set your rent price. Look at other rentals in your neighborhood that are similar in size, quality and proximity to transportation and commerce. Get a feel for the local job market — are people gainfully employed? Take amenities, parking and other property features into account too. Several online resources can help with your research, including the Rent Zestimate or the U.S. Department of Housing’s Fair Market Rent tool. Each neighborhood and property is different, so these are just estimates to get you started. Your local real estate professional can be a true resource in helping you research the market area. Stay on top of changing market conditions, and use this information to set rent increases. Work with a legal professional to be sure you give the appropriate amount of notice for the increase and meet any other requirements in your city or state. Using online accounting software or a simple spreadsheet can help you estimate your income and expenses so you know how much to charge in rent. You also need to decide if (and how) tenants will pay for utilities. There are some legal considerations around this that vary by state, so check with a professional. When you’re starting out as a landlord, you can expect some negative cash flow and bumpy times, just as you might experience in any other new business. However, planning for a rainy day and staying informed about your local market can help improve the overall return of your property. If you’re a homeowner, you already know that there’s always some kind of upkeep or repair needed on your property. Whether it’s a broken window or a higher-ticket item, like the roof or water heater, you need to be prepared. Additionally, renters might not demonstrate the same level of concern for taking care of your property as you would. You shouldn’t expect it, and you should anticipate repair issues to be more frequent compared to an owner-occupied home. Set aside a portion of your monthly rent income to help cover the costs of future repairs. At move in, conduct a thorough inspection using a detailed checklist to note the condition of everything in the home. Use the same format the end of the lease to compare conditions. Recording the walkthrough on your smartphone is a great way to avoid tenant disputes at move out. In the lease, include a detailed explanation of what constitutes normal wear and tear versus damage that must be paid out of the renter’s deposit. Anyone can hit a rough patch financially, and late rent payment is more common than you might expect. You’re certain to be sending late notices, attempting to collect late fees and making payment calls if you want to keep your cash flow on track. Again, make sure your lease spells out when rent is due, how it must be paid, what the deadlines and penalties are for late payment, and how you’ll handle notices and eviction. The rules must be legal in your state, and you and the tenant must follow them. If you’d prefer to avoid some of the ongoing landlord headaches, consider using a professional property management company. It’s going to cost you a percentage of the rent — in many cases 8 to 10 percent — but it could be well worth it. If you plan on professional management from the start, you can negotiate your property purchases and rents to cover the added cost. Plus, it will be a deductible expense. A good property management company will market your property, screen prospective renters, collect rents and handle late payment issues. It also has legal leases and proven procedures should problems arise with your tenants and property. Once you’ve decided that rental property investment makes sense for you, weigh your options. Be informed and prepared, and decide if you have the time and patience to take on the responsibilities of a landlord. Or, if you prefer to outsource the day-to-day details of your rental business to a property manager, decide which kind of property management company is right for you.